Wooden plaque with raised metal town seal. Gift of The Town of Conway. 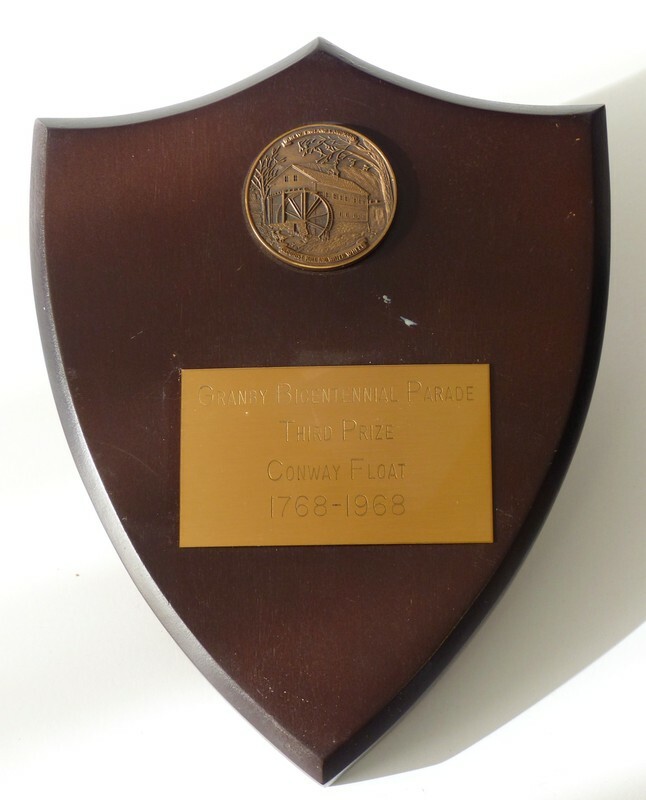 Unknown, “Granby Bicentennial Parade Third Prize Conway Float,” Conway Historical Society, accessed April 21, 2019, http://conwaymasshistory.org/items/show/445.